I stowed my things beneath the bottom bunk, climbed up to mine, and breathed a sigh of relief. The train leaving Varanasi had not left without me. It was a close shave though. On the way to the train station, the hostel’s regular tuktuk driver discovered that I was about to leave Varanasi without having first seen the famed Varanasi (or Banaras) silk. He was almost affronted. As there was enough time to make the detour, he insisted that this should be done. And not in the markets either, where it was pricier. But in the Muslim quarter, where they were made, and you would get ‘factory outlet’ prices. So I had spent some time in the store room of a slightly baffled Banaras silk proprietor, who cast open yards of beautiful, brightly-coloured saree cloth for my inspection. I bought one for my mother (and indeed, it really was cheaper than in the market). They rolled it tight, and it somehow fit into my backpack. Out of my 10 days travelling through Uttar Pradesh, I had given 4 days to Varanasi. I did it on purpose. I thought that I would need time to adjust to the dense conditions of north India. And I was glad that I did. But the whole reason why I added India to my Nepal trip was actually Agra. Specifically, the Taj Mahal. It was so near to Nepal, that it would be criminal to leave the region without making that detour. And while I’m at it – and I know it’s cliché – why not travel to it by train? But why am I bound for Lucknow? Do the westbound trains all stop there? 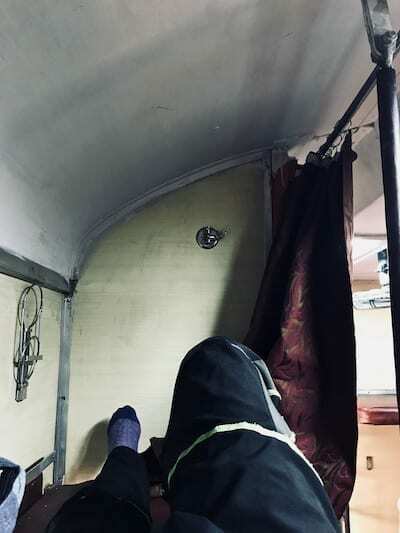 Are there no direct sleeper trains to Agra? Is it somehow cheaper? Is there something famous and amazing in Lucknow that I was specifically aiming to see? What is it, what?? Well. The reason is a whole lot stupider than that! I added a Lucknow stop, because I saw it on the map when I was planning my trip. And I thought, I can’t possibly bypass a place with a name like that! It was highly likely that the original language of the name has a meaning that is completely unrelated. But on the other hand… Did I not want luck, now? Despite having a soft spot for train travel, and recognising the typically higher sustainability of this mode of transport, I have only rarely travelled by train. In fact, it was only in recent years that I even became more of a train commuter. Part of this is because it’s not often the case before, that I had enough time to allocate to the longer duration train travel vs the air route. 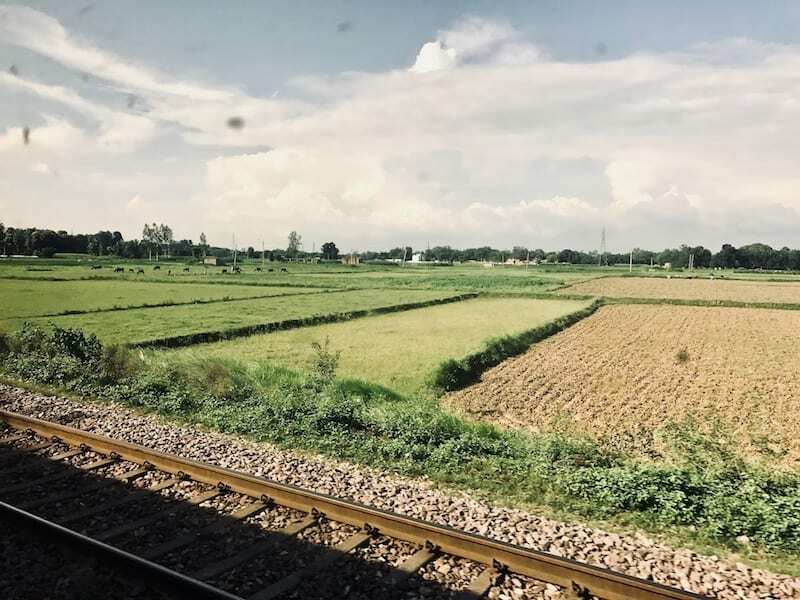 And another part is explained by how Malaysian travel infrastructure is a lot more suited to road trips (and later, airplane connections), than train travel. Unlike some of its other colonial territories, it had not been necessary for the British to build railways connecting actual population centres, in order to funnel resources from their Malayan colonies to the ports. Hence there was only a limited network of trains left behind following our independence – and then it was simply easier to expand on roadworks instead. But you gotta do India by train! At least once, come on! And if not now, then when? 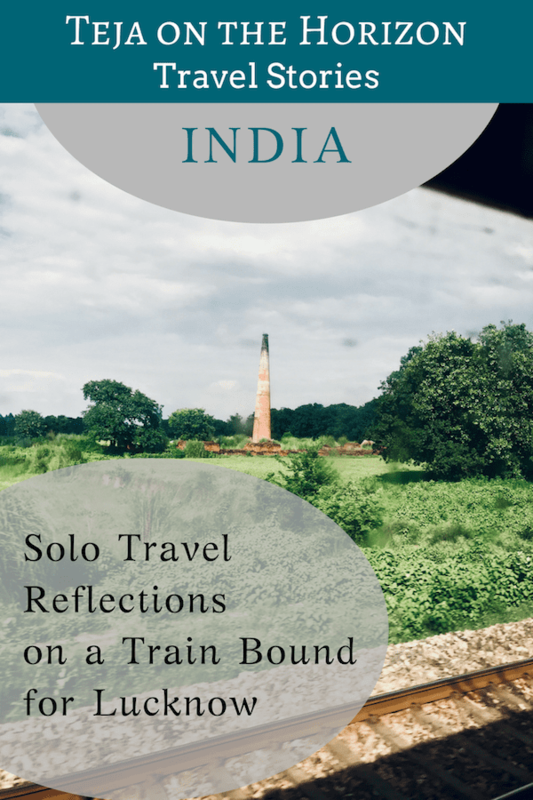 While India is a destination that often rewards a somewhat unplanned style of travel (in fact, in all likelihood she will demolish your well-laid plans and then laugh and dance on its ashes), train travel through India will not. Despite appearances, unless you totally are cool with whenever it is you get somewhere, and can wait for seats to open up whenever, you kinda need to have a confirmed seat in advance. 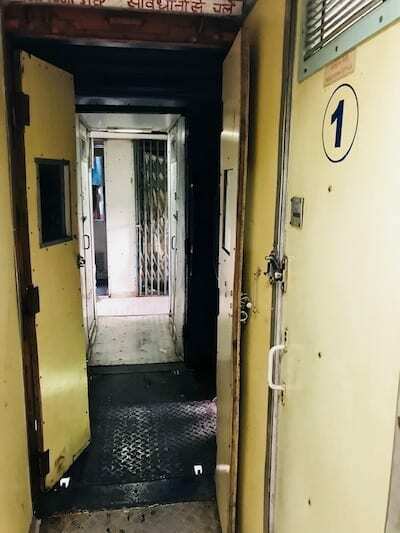 Millions of people travel by these trains every day; those seats are wanted. Faffing about at ticket offices will just take away from your exploring time, so take your pick. Booking those seats in advance, from outside of India, as a foreigner, is possible – but not straightforward. The best resources I found online giving an overview of basic Indian train travel knowledge were this one, and this one. However, in the end, I didn’t actually need to execute the complicated out-of-country IRCTC registration and booking process. And it was all because of travels I had done before. Specifically the second trip to the Maldives, where I met Venky on a dive trip with the epic manta rays encounter. He happened to have friends in Malaysia, and we caught up again. And when I reached out for help with the registration process, he went one further – he got the tickets for me. 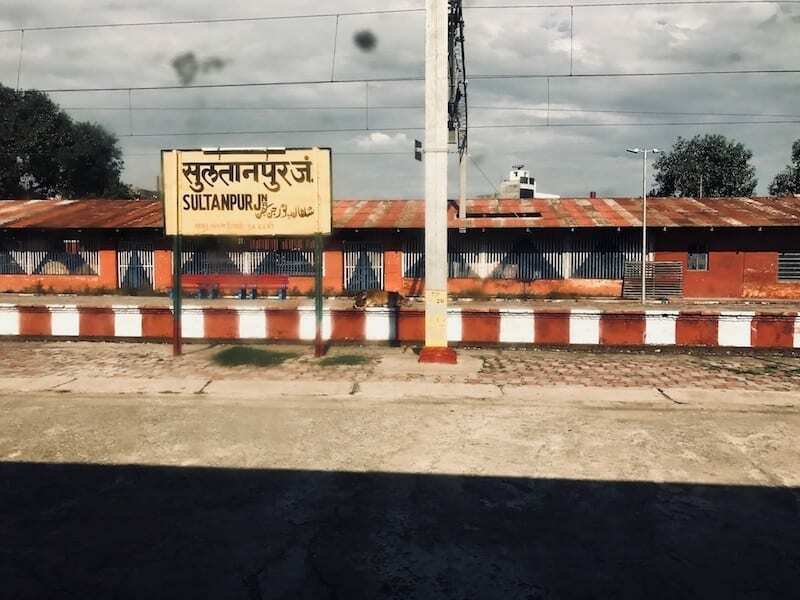 All except one – the return trip to Agra from Delhi – because I kinda wanted to see what it was like to get train tickets as a foreigner, while in India. Don’t get a ticket lower than Second Class AC, was the unanimous consensus of all my Indian friends. Second Class AC for you. Very well. Second Class AC it is. And it was surprisingly comfortable, if rather basic. It’s air-conditioned (duh!). You get a padded bunk, and there’s a light blanket as well. There are toilets at the end of the cars, which are reasonably clean and supplied with water. It’s not a private class – it’s an open plan carriage – but Second Class means there’s only two levels of bunks, so it is roomier overall. Plus, since it’s a somewhat higher class car, you’re more likely to be sharing the carriage with families and women. I was advised to go for the aisle top bunk if I could, so that I’d be on my own with my own privacy curtain. It did suit my catlike introvert preferences, to have my own space on high ground. Still, the downside was that my backpack would be far below, underneath the bottom bunk, so make sure valuables are in your daypack up on the top bunk with you. It’s a good idea to bring a snack in case you get hungry, and a pair of slippers so that it’s easy to go back and forth to the toilets for long journeys. But the Banaras silk was not the reason why I nearly missed the train leaving for Lucknow. It was all actually because I had lunch at this place that was run by an old Nepali man, who was not at all a Buddhist zen sort of personality, and who decided to share the result of his life experiences with me during my meal. So I had the bizarre experience of hearing a very interesting mix of anarchic, unconventional geopolitical views, interspersed with a curious mix of scientific anti-science conspiracy theories. At once idealistic in its echoes, drowned by a louder despair and an odd kind of equal opportunity distrust. I can’t remember if he was a flat earther, but let’s just say that it wouldn’t have been out of place. It was a highly self-contradicting and unnecessarily rebellious worldview. And yet, somehow highly sophisticated as well. To accuse him of a lack of intelligence would be grossly incorrect. He was a very astute man, who had bolstered a natural intelligence with a wide degree of travel and experience. And it would have baffled me, if I had not already met someone who had a younger version of it. 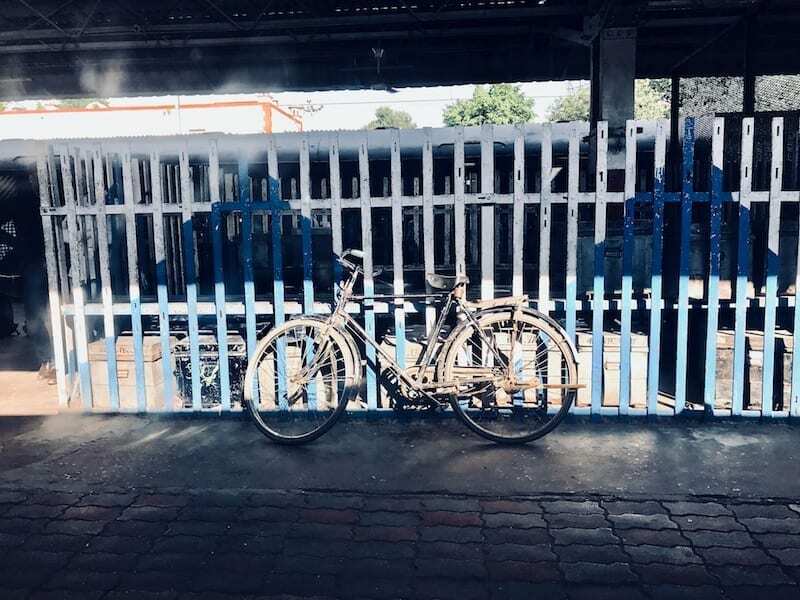 Were it not for Siva, my tuktuk driver, reminding me of my train timetable, I would have sat there listening, my brain soaking up the data of an unusual state of mind. In fact, it is not a state you could get to, without a high intelligence. High enough to get to the seventh wave of consciousness of man – going by the description of Spiral Dynamics. It’s the bit when you’re ‘woke’, understanding the underpinnings of the integrated structures of complex civilisation and the earth. But it often comes with the weight of an awareness that you – you – can’t actually fix any of it, while never again be unaware of just how much there is to fix. The only way to break out, is to rise to the eighth. But, you cannot think your way up there – you can only get there with a leap of faith. Where the peace of wisdom and unity waits. An absolutely terrifying leap. The more terrifying, the stronger and more dependent you normally are, on analytical logic. So to ease the torment you drop down to one of the lower levels and try to forget. This person that I knew, he usually chose the self-interested fifth, and occasionally found it in himself to rise to the more humanitarian sixth (and my personal default). If you’re not careful, it ages into a militancy and a bitterness. A rage and a helplessness. An intolerance and a selfishness. An emptiness and a nihilism. An extremism. If you think about it, every major religion is really designed to guide man through these levels of consciousness. 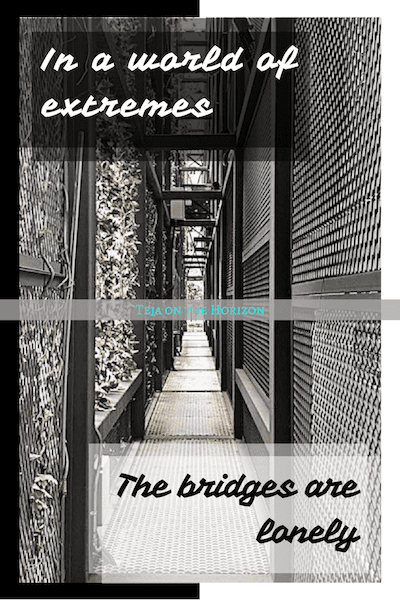 Just because many of us stop at the different levels, doesn’t mean that the fulness of the different religions end there. No. They’re meant especially for those who can get all the way to the edge of seven, by which time you have to choose to jump. Prepared to learn to walk across the sky. It’s actually quite important for everyone else, that you can. Perhaps my once-friend may find it in himself one day, to take the leap and age into a different sort of man. The train finally began moving, trundling along its tracks on its journey. It wasn’t a terribly fast train, but it was pleasant enough. After a while, I worked out that the bottom bunk was unoccupied. So I crept down to sit in it, because it had a window looking out. While the day was still light, I wanted to see what the land looked like, leaving Varanasi for the countryside. The land opened up, stretching far and verdant. Trees dotted the fields and sometimes formed windbreaks. There were rice fields with shoots coming up green. There was a kingfisher on the wing flashing blue. 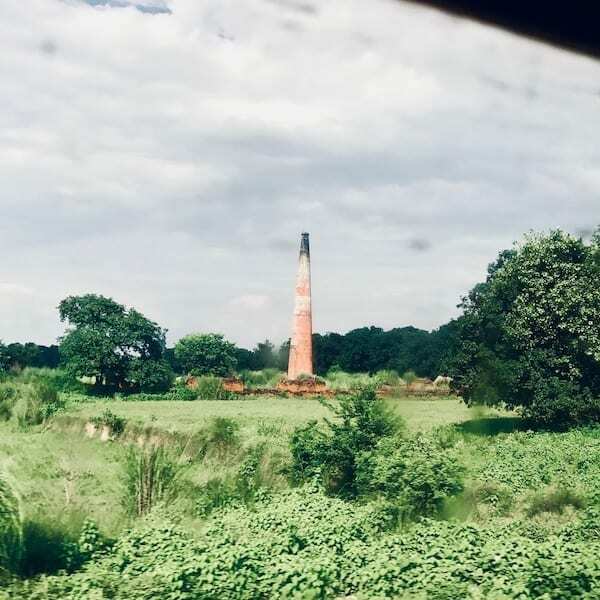 Every so often, there was a curious tall stack rising up from the ground – conical and made of brick. I later learned they were brick kilns. A flock of egrets taking flight. It might be controversial to say so, but I found the Indian countryside far more charming than its ancient Kashi. This is not terribly surprising. I rarely regret leaving cities. Not even when I liked the people and had a good time. But why? Was it because I live in a city myself, and so take it for granted? Or was there something about the countryside that felt truer to life? Most of my friends live in cities too. And I love them, but with few exceptions I did not love their cities. And the thing is, cities rarely feel like they were built for the people currently living in them. It’s like they live there – or try to – in spite of the city’s systems getting in their way. I suppose at some point in history it was not so. Surely a city’s systems must have been built to facilitate and enhance the lives of a great many people in a very small space through organisation and structure. But as the city grows, new solutions get tacked onto the old, to try and solve new and newer problems. And I can feel that layering of structure that you have to work around. But if you live there, it’s so much a part of the city that you stop noticing it. Until you get out, and live in the countryside for a while, where there has not been a need for complexity. Free for a while from the keys and the passes, and the masks and the suits of armour. The birds and the fish and the fields and the trees – don’t care. I loved this post! I mean, I love the reason that you wanted to visit Lucknow, and I adore all the little stories that make your adventures so colourful. It’s always a pleasure to read what you’re up to! Thank you! I think it’s these little things that make travel (especially solo travel) so expanding and fulfilling, these unexpected things that make you glad your plans weren’t cast in stone. On my last trip to India I travelled a lot on the train too, some were better than others but always fun! Oh wow! To be honest I was a bit intimidated but I am glad I did it!